Dr. Frederick Hotchkiss conducts the operations of the Institute and does research on fossils, evolutionary biology and marine sciences through the auspices of the Institute. He has a degree in Earth Sciences (MIT 1966), served as an Engineering Duty Officer in the US Navy’s Deep Submergence Systems Project, and did graduate study in evolutionary biology and paleontology at Yale University (PhD 1974). He worked for twenty-four years in the design and manufacture of ultrasonic transducers for nondestructive testing (NDT). 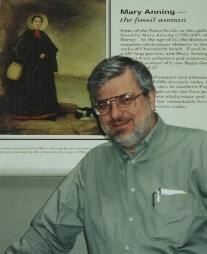 At the same time, he kept up his academic interests and in 2002 received the Mary Anning Award of The Palaeontological Association [UK] for significant contributions to paleontology; also he is a Fellow of the Linnaean Society of London and a member of the New York Academy of Sciences. Mr. James F. Clark trained in marine biology (B.S. Harvard University 1970) and taught oceanography at the U. S. Naval Academy during his subsequent military service. He has developed and patented a variety of specialized underwater equipment and continues to work in the commercial diving industry. Dr. George L. Babich is Chairperson of the Department of Biology and Chemistry at Fitchburg State College. 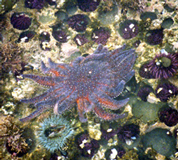 His research interests are in Regeneration Biology, with emphasis on amphibian limb regeneration and an interest in echinoderm regeneration. In addition to this research and administration, he mentors graduate students and teaches and writes on specific issues on bioethics. His graduate degrees are from the University of New Hampshire, and he did post-doctoral research in the Dartmouth Medical School Department of Immunology. The honorary title Research Associate of MPRI is awarded by vote of the Directors to individuals, other than students, who do collaborative research with MPRI scientists, or scientific activities under the umbrella of MPRI. The recognition is for a set time period which may be extended by vote of the Directors. It is embedded in the outreach philosophy of MPRI that collaborative researchers do not necessarily hold a doctoral degree and are not necessarily professionally employed within marine biology or paleontology. MPRI recognizes that significant contributions to marine and paleobiological science have been made by persons who are not employed as scientists or academics. Nominations by MPRI scientists are based on the steadiness, duration and success of the research collaboration. In general, to be considered for nomination the research collaboration should have a long-term aspect to it. Nominees should be prepared, if requested, to write a one page biographical and collaborative endeavor statement. There is no pay associated with this honorary recognition. Persons interested in collaborative research with MPRI should contact Dr. Frederick H. C. Hotchkiss, President. The honorary title Fellow of MPRI is awarded by vote of the Directors to scientists, irrespective of nationality, who have made significant contributions to marine biology and/or paleontology by means of a substantial body of research (not normally awarded on the basis of a few good papers). Fellows are distinguished by breadth as well as depth of their contributions. Contributions through leadership of expeditions, legacy of students, editorship of journals, and other types of service to the scientific and educational community may also be considered in selecting nominees. Candidates are nominated by the President and voted on by the Board of Directors. Persons wishing to put forward a name to be considered for nomination, including self-nominations, should submit a one page statement outlining the candidate's principal achievements to Dr. Frederick H. C. Hotchkiss, President.